My mam always says ‘A place for everything and everything in its place!’ Unfortunately, I haven’t managed to live my life by this motto – instead my method is ‘organised chaos’. I know where most things are but no body else does. However, in the classroom, everything does need its place. There should be a place for copies, books, glue sticks, folders, maths equipment, books, homework etc. If you are starting a new position after the Christmas break make sure to have everything in its place and show the children where things are kept. Children can then access the things they need when they need it without having to constantly ask. Children should also be expected to keep their tables tidy. If possible, try to keep the desks clear. 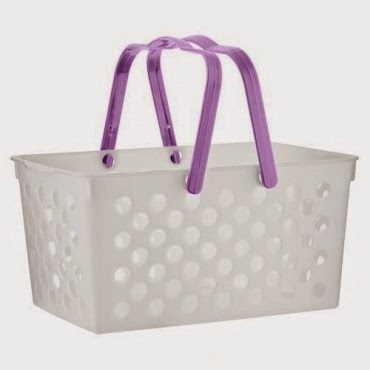 You can buy storage tubs for copies and books in many hardware stores, Dealz or Ikea. 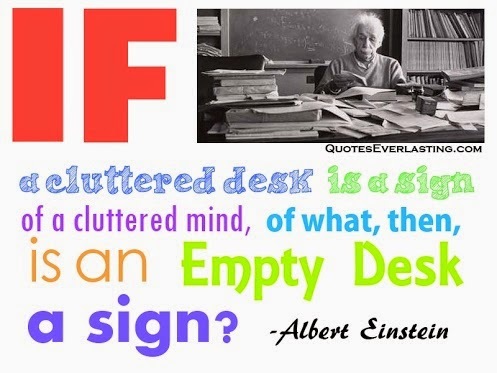 Give the children time daily to tidy their tables and one of the classroom jobs could be Desk Monitors. If you expect the children to have a tidy table then you should also try to keep your table in a good state. This is not easy as you may have lots of different resources, copies to be corrected, notes to give out, letters from parents etc. These tips should help to keep your desk as organised as possible. Lay out the books you need for each lesson on your table in the morning. Have a place for copies (use one of the storage boxes above for example) and keep them here until you are ready to correct them. Have a pencil holder on your table and make sure to keep a good supply of pencils, red pens, green pens and blue pens in it. I also find it handy to have a pen around my neck or in my pocket for easy access. Correct copies on a child’s table – this will force you to put things away when your finished! Hope this helps! Good luck to everyone starting teaching practice or a new position after the holidays!